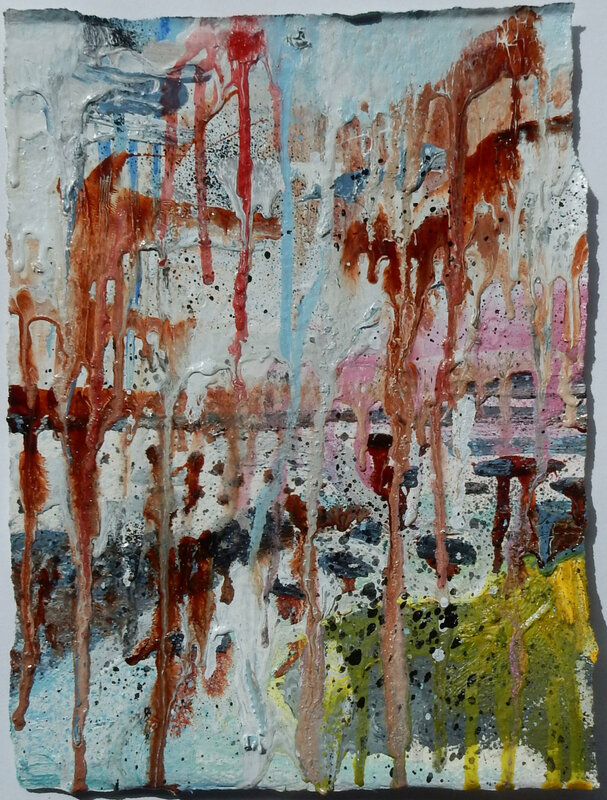 Household paints, varnish, spray paint, oil paint, enamel on Fabriano 100/100 cotton paper. This new work is part of the series 'Southport'. The series currently numbers over 10 paintings of a similar size and are based on photographs taken by Hopkins on the Southport coast. This series is made in the shadow of the UK's triggering of Article 50 in order to leave the EU and Donald Trump's presidency of U.S.A.